Getting into an accident is scary. 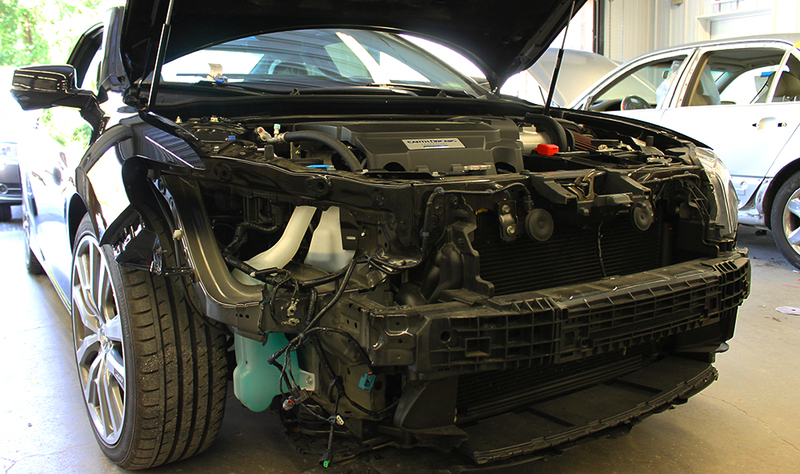 Entrusting your Honda to a body shop doesn’t have to be. Here at ACS, quality and safety are our top priority. We have certified and trained technicians who only use genuine OEM parts to restore your Honda to its pristine pre-accident condition. At ACS we believe in nothing but the best, and that’s why our technicians are the best. Continual training keeps our technicians up to date in all areas of collision repair. Our technicians are ASE certified and I-CAR certified—two certifications that mean high quality repairs with the utmost attention to detail. ACS is committed to staying on the cutting edge of collision repair procedures and technologies. Our technicians know their way around a Honda because we dedicate time to staying on top of Honda advancements and best practices. Our certified paint technicians utilize the highest quality collision repair paint in the repair of your vehicle. Sikkens Waterborne Paint is the most trusted name in collision paint repair for its color matching technology and its ability to dry quickly at low temperatures. Our paint technicians carefully identify your vehicles original color then make an identical match using Sikkens paint. Once we apply your fresh new coat of paint you won’t be waiting long because our paint is energy efficient, cutting down the dry time so you can get back on the road sooner. Using the right parts, tools and procedures, our certified technicians will return your Honda to its pre-accident condition. Preserve your Honda after an accident by entrusting it to ACS, a family owned and operated shop that has been dedicated to providing quality repair work to Randallstown, Patapsco, Glyndon and the surrounding areas since 1980. Does Your Honda Need A Repair? ACS offers the highest quality Honda repair services in Baltimore and surrounding areas.